Kevin Baker, agency principal of the Kevin Baker Insurance Agency located in Chico, is releasing information on a charity drive the firm is undertaking to help raise support for the family of Jeremy Warren, a young local man who was paralyzed after a devastating motorcycle accident. “We have been amazed by Jeremy and the entire Warren family’s strength during this ordeal. Jeremy posting his goals inspires us to appreciate the little things in life and motivates us to reach our own goals,” said Baker. Baker and his team are implementing an invitation system to help guide the donation process, and have pledged to issue a $10 donation in the name of anyone in the area who refers in a friend or loved one to receive a no obligation quote from the Baker Insurance team. Further information on how to help support the Warren family, and a form that allows readers to suggest new charitable causes for the Baker team to support, are available on this page: http://bakerinsuranceca.com/rewards/. 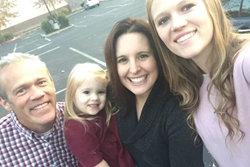 As a Personal Insurance Representative in Chico, agency owner Kevin Baker knows many local families. His knowledge and understanding of the people in his community ensures that clients of Kevin Baker Insurance Agency are provided with an outstanding level of service. Kevin and his team look forward to helping families protect the things that are most important – family, home, car and more. Kevin Baker Insurance Agency also offers clients a preparation strategy for achieving their financial goals. To contact an expert at Kevin Baker Insurance Agency, visit http://bakerinsuranceca.com/ or call (530) 893-8301 in Chico or (530) 872-4644 in Paradise.